Cross B Series Control Valves are available with 1 to 3 spools, up to 3000 PSI working pressure, and 30 GPM flow rate. Valves are available with float and detent and also open or closed center. Cross SA Series Control Valves are available with 1 or 2 spools, up to 3000 PSI working pressure, 15 GPM flow rate. Valves are available with float and detent and also open or closed center. Cross SCV Converta Valves are 3-position, 4-way with open center. Rated up to 2000 PSI working pressure and up to 25 GPM flow rates, these valves may be used to operate single or double acting cylinders. 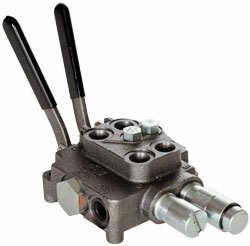 Cross SCD2E Log Splitter Valves are single spool, 3-position, with detent kickout. This valve is rated to 2000 PSI working pressure and a 30 GPM flow rate. 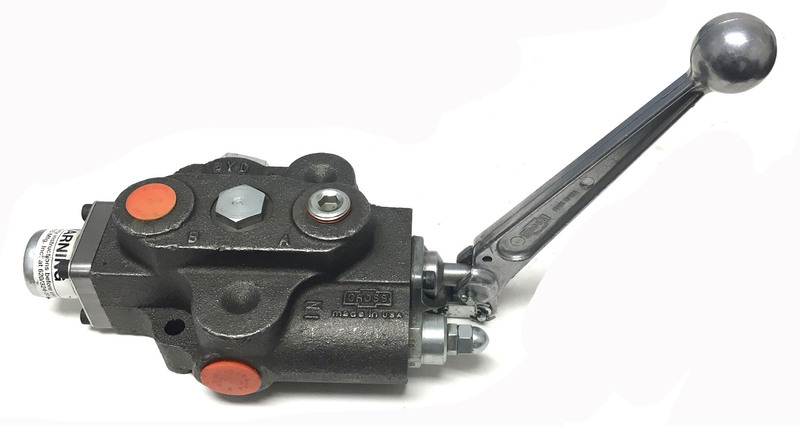 The Prince RD522CCEA5A4B1 control valve is ideal for use in log splitters with a log lift. This Prince valve has two spools for double acting cylinders. This valve is rated to 3000 PSI working pressure and a 25 GPM flow rate. Replacement parts for Cross B Series Valves. 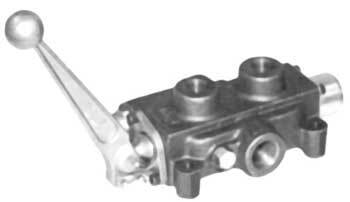 Many more valve replacement parts are in stock and available now.